The Best Narcissist Podcasts from thousands of Narcissist Podcasts on the web using search and social metrics. Subscribe to these audio podcasts because they are actively working to educate, inspire, and empower their readers with frequent updates and high-quality episodes. Narcissist Podcast newsletter is a comprehensive summary of the day's most important audio podcasts episodes from the best podcasters on the web, and delivered to your email inbox each morning. To subscribe, simply provide us with your email address. Georgia, USA About Podcast The Little Shaman Healing Podcast teaches how to deal with gaslighting and narcissistic abuse from cluster b personalities, and other toxic relationships. Facebook fans 3,823. Twitter followers 277. About Podcast The Narcissist in Your Life is a podcast hosted by Linda Martinez-Lewi. This podcast provides straight forward, in-depth information and insights into every facet of the Narcissistic Personality. The purpose of this podcast is helping those who have been psychologically and emotionally harmed by narcissists, Covert and Overt, to identify these toxic personalities, to free themselves from the cruelties. Facebook fans 12,445. Twitter followers 194. About Podcast Thrive After Abuse Podcast is for survivors of Narcissists, Sociopaths, and Psychopaths. Her personal mission in life, and the resulting mission of Narcissist Support, is to educate, empower, and inspire anyone who has suffered from any form of abuse in moving forward to create an amazing future full of healthy self-esteem, high standards for how they are treated by others, solid boundaries, and outrageous amounts of happiness and fulfillment. Facebook fans 119,427. Twitter followers n/a. Boulder, CO About Podcast Narcissist Abuse Support Podcast is a resource for victims of all kinds of abuse, specifically Narcissist Abuse. Facebook fans n/a. Twitter followers 2,842. About Podcast Sean Healy Tools aim is to support entrepreneurs with tips, tools and strategies that can add to living a life of greater success, personal fulfilment, and reduced stress. About Podcast Understanding Today's Narcissist is a podcast dedicated to separating fact from fiction when it comes to dealing with a narcissist in your life. This podcast is hosted by Christine Hammond, MS, LMHC, a licensed psychotherapist, speaker and author. About Podcast Welcome to Grow With Christine. Christine is expert in personality disorders (Narcissism and Borderline), mental health disorders, addictions, co-dependency, anxiety, anger, depression, parenting, and marriage. About Podcast Welcome to Inner Integration Podcast where you can learn the mindsets and tools to self-heal after narcissistic abuse. Facebook fans 12,348. Twitter followers n/a. St. Louis, MO About Podcast Welcome to QueenBeeing Uncensored by author Angie Atkinson. This podacst discusses narcissistic abuse, narcissistic personality disorder, surviving and thriving after abuse and how to recover from codependency and take back your life. Facebook fans 3,603. Twitter followers 4,216. About Podcast Welcome to Actionable Intelligence, where amazing things happen. This podcast is the journey of recovery and healing from Narcissistic Abuse. About Podcast Welcome to the Heal & Thrive After Narcissistic Abuse podcast, where I discuss the steps of recovery following narcissistic abuse while sharing personal accounts from my own experience and healing journey. About Podcast Welcome to the mind of a Narcissistic nostalgic hypochondriac & friends . About Podcast The "Heal Her Show" is a podcast empowers women that suffer from narcissistic abuse. This podcast takes a holistic approach to teaching women to commandeer their true devine power and reparent their Inner child. About Podcast This podcast is for narcissistic abuse survivors by M. Light. About Podcast This podcast is to guide & support you and be your own personal cheerleader. Jasmin Schult is a relationship empowerment coach and narcissistic abuse recovery expert. Facebook fans 346. Twitter followers n/a. CONGRATULATIONS to every podcast that has made this Top Narcissist Podcasts list! 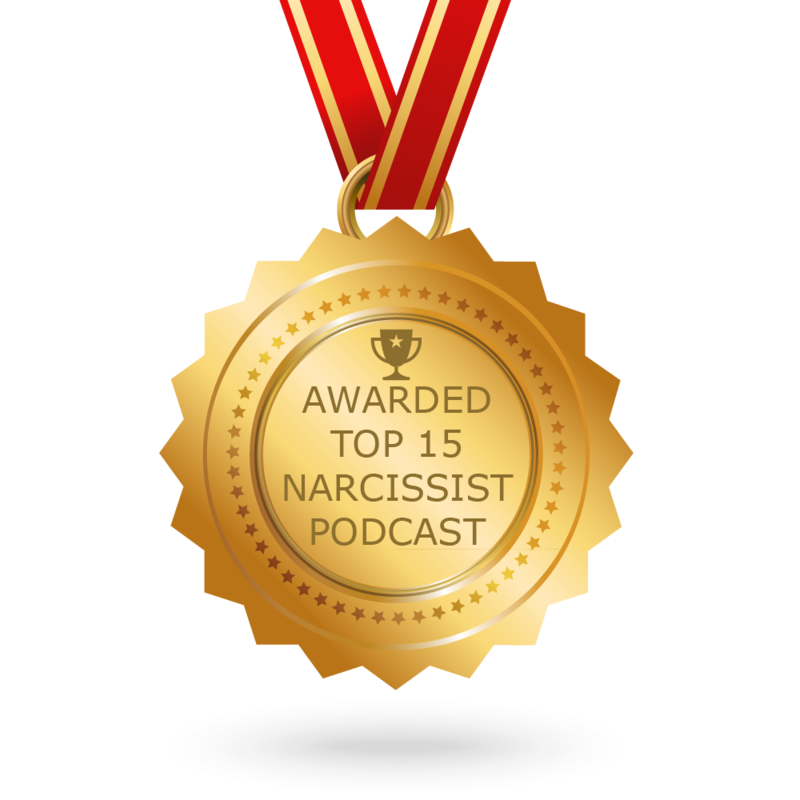 This is the most comprehensive list of best Narcissist Podcasts on the internet and I’m honoured to have you as part of this! I personally give you a high-five and want to thank you for your contribution to this world.